It’s a beautiful afternoon. There’s a cold one on the table, Kenny Chesney is playing in the background, and I can hear the boats on the Magothy cruising home in time for dinner. If you told me ten years ago that I’d be living near the water, I wouldn’t have believed you. More importantly, if you told me I’d be listening to country music, I would have laughed. How did I get here? I moved around my whole life, but I consider New York City home. I came of age in New York, where subway tunnels were my waterways, the taxis had wheels and a boat ride was a ferry jaunt to Staten Island. I worked my first job in New York City, selling cookies in the Meat Packing district, and, after college, I started my career in New York City, where I remained for nearly a decade. Like all good New York lifers, I expected to stay in the city forever. But, as I grew older, the novelty faded and I eventually left to support my family’s business in New Castle, DE. You could say that entrepreneurship runs in my veins. My family, the Holman family, has been starting and running businesses since the Civil War, when my ancestors made and shipped saddles and other equipment for the soldiers. In times of peace after the war, the Holman family turned to crafting furniture – furniture that eventually had to be moved. 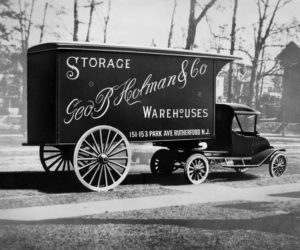 In 1886, we started in the moving business, providing families peace of mind as they began to move to and from the New York Metropolitan area. In 1947 Holman became a founding agent for United Van Lines. Four generations later, my mother, Katherine Holman, sat at the helm. As the only family member interested in the business, all eyes were on me to lead the 5th generation. When faced with this kind of pressure, you have to know what you don’t know. So, I enrolled in the EMBA program at the University of Maryland in order to assess a possible succession. Little did I know at the time that I would meet Dan Cowens and Marco LeGette – and that my life would change forever. The University of Maryland is heavily focused on entrepreneurship and, as part of our curriculum, we split into teams to build a viable business model. Dan recruited Marco and me to join his team and, from there, it’s history. As we built out the model for Oasis Marinas, a marina management company, we saw a gap in reservation platforms and Snag-A-Slip was born. After graduation, we pitched the idea to the Shore Hatchery Competition at the Perdue School of Business at Salisbury University and won enough seed money to fund the original product. Horn Point Harbor Marina was my favorite thinking spot! 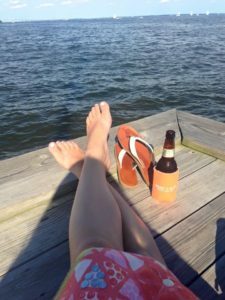 We launched Snag-A-Slip in the Chesapeake Bay the Summer of 2015, with just a handful of marinas on the site. 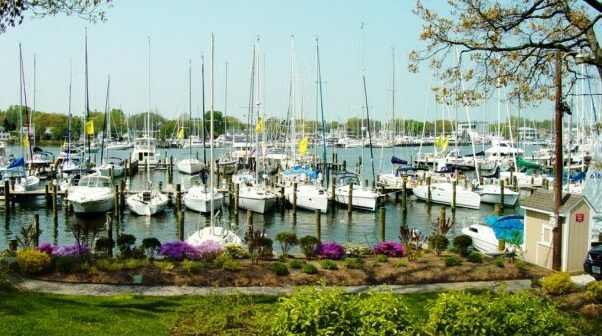 You can read more about our first marinas in the Chesapeake Bay from Alexa, another Snag-A-Slip OG. That summer I also moved to Annapolis to test the waters. I spent a lot of afternoons sitting on piers with beers contemplating the future. By the end of the summer, I was sold. I fell in love with the Chesapeake Bay, its amazing people and its beautiful scenery. I fell in love with our marina partners, and their willingness to try new things. I fell in love with our boaters, and the passion they have for cruising. Most importantly, I fell in love with Snag-A-Slip and the team that quickly became family. I moved to Annapolis permanently that October, and haven’t looked back. Since then, I’ve traveled to countless boat shows, explored the Bay and even sailed on a log canoe! Thankfully, my family supports me and has been cheering from the sidelines throughout the journey. Snag-A-Slip’s first summer was a special moment in time that can never be recreated. Still, the ride gets better every day. Our reach has grown tremendously, our team has more than doubled, investors have put money in the bank and we’ve acquired some incredible talent and a new brand. At Snag-A-Slip we live in fast forward. This has never changed – and it will never change. Today, I sit at the helm of the marketing team and if you’ve had a customer experience with Snag-A-Slip, you’ve probably talked to me. 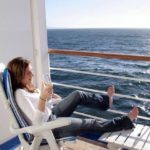 In this blog, I’ll be sharing stories about great destinations, the customer experience and startup life. P.S. If you want to see a blast from the past (and rock out to Chesney), check out the video below!